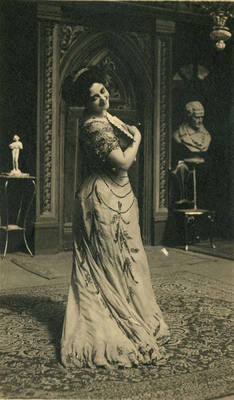 Full length portrait of Mademoiselle Pilar-Morin wearing a long gown and holding a fan. She was an actress in the Edison Stock Company, ca. 1909. BW photograph; 5" x 3"